Our short courses are fully accredited by ABT which are recognised and insurable. Once you have completed your course with us you will be able to gain insurance. 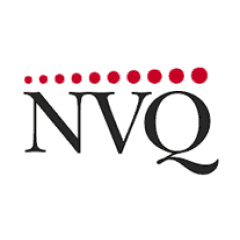 We offer VTCT NVQ courses that are recognised by leading professional bodies. Unlike other beauty training academies you receive your diploma on completion. This means you are not left waiting for your certificate/s to arrive in the post. Sure Pass Hair and Beauty Courses. Our beauty courses guarantee you receive the best in quality and value for money. Our leading beauty college offers accredited courses of the highest level. All courses offer fully accredited, industry recognised qualifications allowing you to gain insurance and in turn competently offer treatments to your clients. Sure Pass beauty school consistently gains high reputation from our students of delivering high quality beauty training. 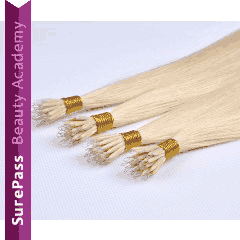 We offer the best priced beauty courses around with great discounts. Find your training course from our course categories below. Norfolk's Premier Hair & Beauty Academy. Our main training centre is located in Norwich, Norfolk but we also occasionally offer courses in Suffolk, Cambridgeshire and Essex. As well as being mostly well known in the industry for our beauty courses we also have a dedicated team that specialises in hairdressing short courses and NVQ courses in Hairdressing. Our Norwich academy alone has trained 1000's of successful students from far and wide which in turn have gone on to start a profitable career offering a combination of hair, beauty and holistic services. A Sure Pass adviser is always on hand to help with your enquiries regarding any of our short and NVQ training via email, telephone and live chat support. As well as a training supplier we also retail hair and beauty supplies and equipment which are available to purchase through our online shop.